Only a sister could make such a declaration and live to tell about it. My sister didn’t press the issue. She simply looked at me a beat too long, eyebrows raised, as if to say, “Oh really?” before turning around to face forward again. The conversation in the car shifted to another topic. I wasn’t angry, and I didn’t hold my sister’s accusation against her. We DeRushas tend to speak forthrightly to one another – blame it on our no-nonsense Puritan sensibilities. But I also dismissed her declaration, refusing to even consider that there might be some truth in it. Later, though, I couldn’t get Jeanine’s comments out of my head. I argued with her in my mind, continuing to defend myself. But the more I tried to insist to myself that she was wrong, the more I realized she was right. The truth is, I do complain. A lot. I’m cold. I have a headache. My elbow hurts. I’m tired. The kids are bugging me. My work is boring. I have ennui. I’m sick of walking the dog. Why do I always have to be the one to empty the dishwasher? Who left their dirty socks in the middle of the living room floor? How come we never do anything fun? Is this all there is to life? I complain for a lot of reasons: to get attention; to elevate myself; to garner sympathy and compassion; to be seen and heard. But we don’t have to dig deeply into my psyche to identify the number one reason I complain. It’s actually quite simple: I complain because it’s a habit. Half the time I don’t even realize I’m doing it. Near-constant complaining has become my mindless modus operandi. In her book Better than Before, Gretchen Rubin advises that we should “choose habits mindfully.” Choosing mindfully, it turns out, is the key not only to establishing a good habit, but also to breaking a bad one. On January 1, my sister’s accusation still ringing in my ears, I resolved to break my habit of mindless complaining and relentless negativity. The challenge, I knew, was that I needed to do more than simply state my good intentions. I knew, as Rubin said, that I would need to mindfully choose a good habit that would, over time, help me begin to pave a new neural pathway in my brain. Enter the daily gratitude journal. Or, I should say, re-enter the gratitude journal. 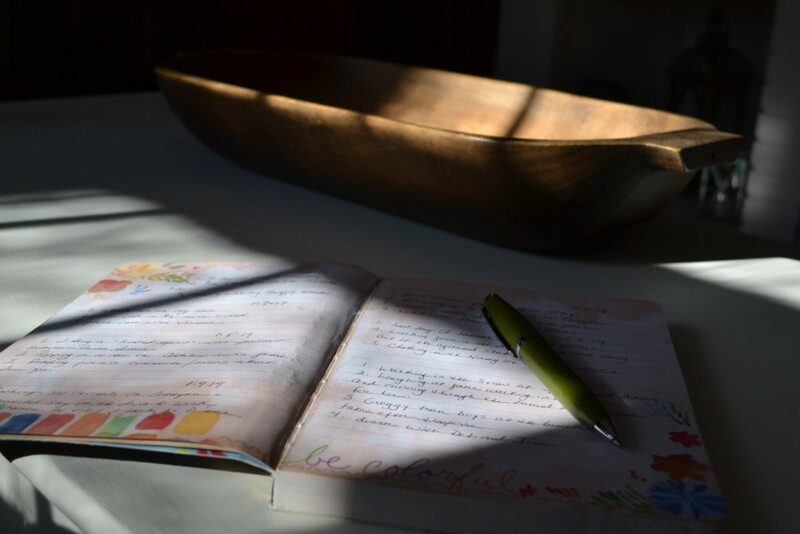 Eight years ago, inspired by Ann Voskamp’s bestselling book One Thousand Gifts, I bought a cheap journal, laid it open on the kitchen counter between the coffee maker and the fruit bowl, picked up a pen, and began to list the everyday, ordinary moments that brought me joy. In total my kids and I and occasionally Brad listed 1,955 gifts over a three-year period. That was more than four years ago. Truthfully I don’t remember why I quit the gratitude journal. I don’t even remember when I closed the cover over its wrinkled pages and tucked the notebook into a cabinet, where it still lives today. I keep my new gratitude journal – a beautiful notebook with a richly vibrant cover, a gift from a dear friend – on my nightstand. Every night before I click off the light, I think back over my day and pen three things for which I am grateful. Sometimes I list more than my three; occasionally it’s a challenge to come up with the bare minimum. The truth is, I inherently lean toward glass-half-empty. My default is pessimism. Because it doesn’t come naturally to me, I need to choose optimism consciously, and one of the ways I’m trying to do that is to choose gratitude every day. As with my prior journal, the things I’ve listed so far are ordinary, even mundane – coffee with a friend; glimpse of a sleek fox trotting across the golf course; January sun after a string of gray days. And yet I know that in some ways, it’s their very ordinariness that makes these gifts special. Today I’m mindfully choosing praise over complaint. Today I’m choosing a new habit mindfully and beginning to repave a well-worn habit of complaint and negativity with one of gratitude. So tell me, do you keep a gratitude journal? And have you ever tried to quit a bad habit by replacing it with a better one? I also did the gratitude journal after Annes book and now I think I need to start it again. Ron always tells people that he sponsors to do this very thing. A new year a new habit! Michelle, years ago, in the 90’s, God really spoke to me one morning when I was reading my Bible about the fact that I was a grumbler! I too tend to lean towards pessimism, and also towards a lot of pontificating and being opinionated and spewing my negativity. I think when we complain often, we are presuming that we know what’s best or that we would do it better. Frankly, Michelle, in my case, I think it smacks of arrogance. So . . . enter my Joy Journal. I was already journaling, and had been for years, so this was not a difficult habit to adopt. BUT finding joy was. . . . I think akin to what you are calling gratitude. Normally, my journals are a seamless whole, because that’s how life is–it’s a potpourri of varying feelings and diverse experiences, and rather than separating them out into different topical journals or tabbed sections in a loose-leaf journal, I prefer to write and reread the experiences and reactions as they occur. (This really helps in making connections as well). That said, I decided that I was grumbling so much that I needed to dedicate a journal just to joy. And the results were astounding. I didn’t list single lines of things/people/experiences for which I was grateful, but rather, wrote about them more like little vignettes and always wrote why I was grateful and why they made me joyful. (The why is important). I even wrote about things that didn’t make me joyful, but *why* I could “take joy” from them anyway. This had an extraordinary effect on me. At that time I was pretty isolated. I’d left a full-time-plus fascinating and active career to raise our little daughter. I had never wanted to be a mother (though I adored Sheridan, which is why I left the workforce), but still, being without adult company and interests and goals, it was a huge and difficult change. I recall writing about Sheridan frequently in my Joy Journal, and it was so uplifting. You have read one of those entries in my book, in the butterfly chapter, about Sheridan at her dance lesson. But capturing the circumstances of that joyful occasion and others, and in rereading them, it truly changed me. That said, I have not done that in a long while . . . kept a Joy Journal. I am grumbling again… or maybe more just really feeling down and useless. Your post inspires me to try this again. And remember my mother’s quote, which of course, is Robert Louis Stevenson’s (and she does credit him, but has said it so often and believes and lives it that I think of it as hers)! :-): “The world is so full of a number of things, I’m sure we should all be as happy as kings.” When we realize God truly has given us so many blessings, and when we thank Him and take joy because of them and His goodness towards us, we will stop grumbling and complaining! 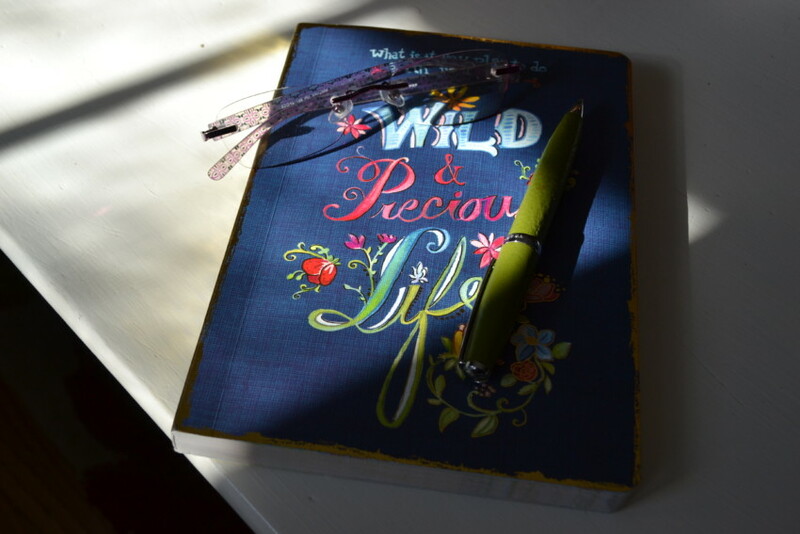 PS What a fabulous Mary Oliver-ish journal! Do you know who makes it? Oh my word, as Shirley Temple use to say. You described me to a T. Those same complaints come out of my mouth. I’m a half empty glass too. Fortunately, my husband is a rose colored glasses type. We banged heads for a long time, but now we respect our differences, because they balance us both. 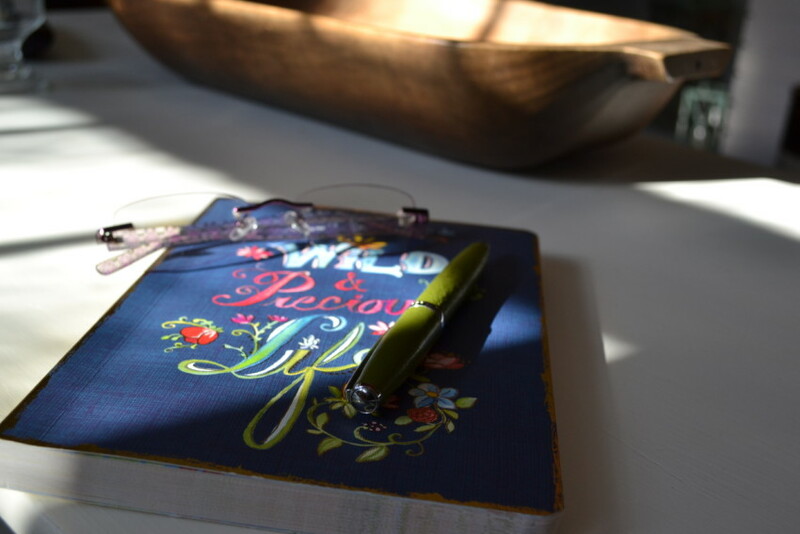 Thank you for this post and my new habit-starting a gratitude journal. Oh Michelle… I so get this… I never thought of myself as a negative person… until I started counting Ann and that sweet community!!! For me… it broke up the icy waters so the iceburg of my thoughts could be seen! It took me deep… deeper into my wrong thoughts about God… therefore the wrong throughts about myself… and therefore the wrong thoughts about the world around me!!! I feel I am in another season of freedom… I am loving learning about the science of the brain!!! Soooo powerful!!! I see all the more how my thoughts still hold me back… keep me living small… I have been doing FB lives… jumping out of my comfort zone… telling myself a new story!!! I love hearing how God is coming to set us all free from they ways that keep Love limited in our lives!!! I keep a daily journal on a special Word document I created for myself. I make up a new set of pages each month. 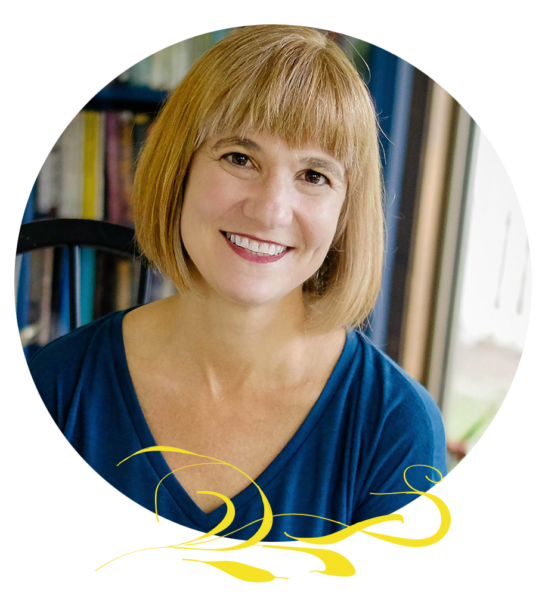 Part of those daily notes includes “What I Am Grateful For: which started as a prompting from Ann’s 1000 Gifts. I used to use her prompts for each day but have gotten away from using those daily ideas of things to be grateful for. And yes, some days I do struggle with coming up with 3 things, although when you look around and live your life there are so many things! I like Lynn’s idea above for also making a note of why I am grateful for something I have listed. I could write “electricity” every day as something I am grateful for! (We were without power for several hours today). Today I might be grateful for it because it helps me do laundry. Yesterday I was thankful for it because it chilled my water on a warm day! So I agree, the “why” is something good to add! Thanks, ladies, for your writing and sharing! I kept a gratitude journal for several years. Though I don’t actually write down anything, I find myself giving thanks for the simplest things in my mind continually. Keeps me focused on the blessings God gives us in the ordinary moments. What a wonderful habit to develop! Yep!!!! I’ve been meditating on Romans 12:2., and how we have to be pro-active about our habits. : Do not conform to the pattern of this world, but be transformed by the renewing of your mind. Then you will be able to test and approve what God’s will is—his good, pleasing and perfect will. I have that tendency to complain too. I decided a couple years ago to not complain, just stop. So I often just stop talking. I just close my mouth and don’t say what I was thinking. If I can, I say something positive instead even if it is on a different subject. Now I am trying that on social media. Just because I don’t like what someone posts, doesn’t mean I have to write my 2 cents against it. I just scroll on down to another post instead. Yes, I have used the gratitude journal too. It works really well to help me think positive. I still do complain sometimes, but much less. I notice the people around me, especially my husband, appreciate the change very much! Trying to overcome negative thoughts that take up waaay too much of my time and energy. Even first thing in the morning or, especially, during bouts of insomnia. I found a cute shadow box with a hinged door and padded interior where I can pin up Bible verses. It will hang on the wall directly across from my bed where I will see it when I wake up. Even if it’s still dark, I know it will be there. First verse to hang up? Philippians 4:8, Whatever is true…think about these things. Hoping to turn these negative thoughts to thankful, true, noble thoughts. Thanks for your post. It too changed my life… 18,000+ and counting! 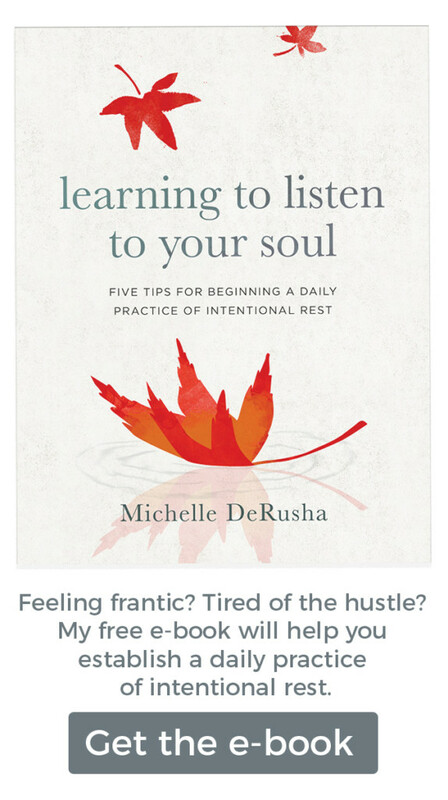 Michelle, I love the idea of a Gratitude Journal! I haven’t done any writing for a while and this sounds like a great way to start putting pen to paper. I just finished reading your book, Spiritual Misfit, and absolutely loved it! I laughed and cried as I walked along your journey. The aha moment for me was when the elderly Chinese man touched Noah’s cheek and head. Emotions welled up in me and I heard a voice in me say; Yes! God is between all of us and in our daily encounters with others. Wonderful book! 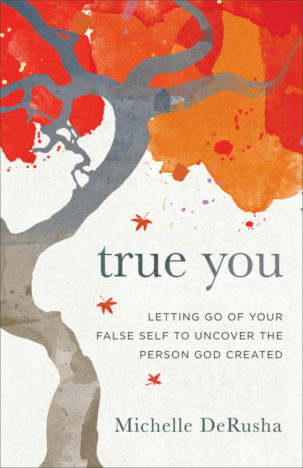 Now I’m off to read True You!